The Winterthur Cricket Club are proud to announce that ARDONA AG has entered into a sponsorship agreement with the club. The agreement is with immediate effect and you will now find the Ardona logo on our website, and don't be surprised to see a banner or two around the ground! Ardona AG is a family ran business offering IT and office products. Ardona take orders online or by phone, email & fax, and your order is delivered conveniently by post direct to you at home or at work. The Winterthur Cricket Club is grateful for the kind support from Ardona AG. 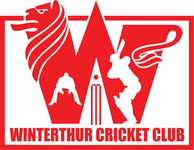 And for an additional club discount please mention you are from Winterthur Cricket Club. Ardona AG, for all your IT and office products. Toners and cartridges of all brands and manufacturers and the appropriate paper, including specialty papers such as ESR, envelopes, labels, or photo paper. Ardona also supplies monitors, printers, plotters, CAT and USB cables, cleaning products for housings and keyboards, CD Cases Terra Bit tapes or office folder - even coffee mugs. In other words (almost) everything to help your office operation run smoothly. In 1983, more than 30 years ago, Hermann and Verena Bühler founded Ardona AG with the aim of reliably supporting IT users with high-quality range of computer and printer accessories. Meanwhile, Ardona continues to specialize. As a healthy and strong second-generation family we form a team of dedicated specialists. We are particularly strong in the areas of ink / toner / storage media and in our services (Ardona Services). Ardona's customers include private, SMEs and large companies. And their consulting, sales and service area covers the whole of Switzerland.